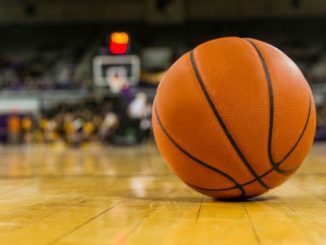 On Thursday night, the Nebraska Cornhuskers will go on the road to take on the Michigan Wolverines in a Big Ten showdown. Nebraska is 15-13 and is in 11th place in the conference. Michigan is ranked 9th with a 24-4 record and is in 3rd place in the Big Ten. Nebraska is coming off a 75-72 home loss to Purdue on Saturday. The Cornhuskers were in this game the whole time but were not able to get it done in the end. Glynn Watson Jr. had a spectacular game, scoring 25 points on 10 of 20 shooting to go with 4 rebounds. James Palmer Jr. was the only other player in double figures for Nebraska with 15 points on just 2 of 12 shooting. Palmer added 4 rebounds and a team-high 8 assists. Tanner Borchardt led the team with 7 rebounds to go with 6 points, and Isaiah Roby had a quiet game with 7 points and 6 rebounds. Michigan is coming off a 77-70 home loss to Michigan St on Sunday afternoon. The Wolverines did fine offensively but were unable to stop the Spartans all game. Zavier Simpson led the way with 19 points on 7 of 15 shooting to go with 5 rebounds and 2 assists. Ignas Brazdeikis scored 16 points on 5 of 11 shooting to go along with 9 rebounds. Jordan Poole chipped in 15 points on 5 of 13 shooting. Jon Teske earned a double-double with 11 points and a team-high 10 rebounds. Simpson and Poole tied for the team lead in assists with 2. Nebraska is led by James Palmer Jr., who is averaging 18.9 points per game on the season to go with 4.4 rebounds and a team-leading 3.2 assists each contest. He has been followed by Isaac Copeland, who averaged 14 points a game before going down for the year with an ACL tear. Glynn Watson is averaging 12.4 points a game and leads the team in 3-point shooting at 37.6%. Isaiah Roby chips in 11.3 points and 7.1 rebounds per game, which is a team high. Nebraska is averaging 71.9 points per game on 43% shooting and is holding opponents to 64.5 points a game. Nebraska is 2-7 on the road this season. Michigan is led by freshman Ignas Brazdeikis in the scoring column as he averages 14.4 points a game. 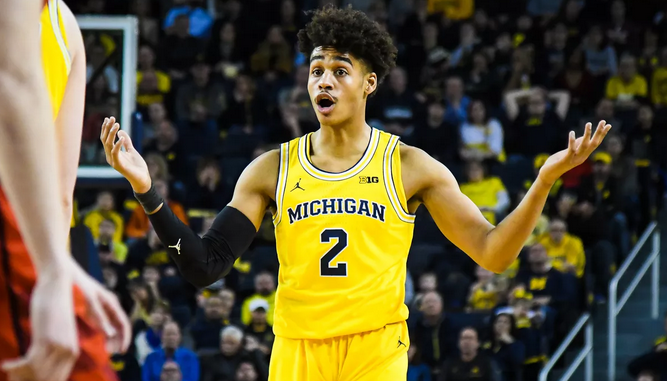 He is followed by Jordan Poole, who scores 13.2 a game, and Charles Matthews, who averages 12.8 a game. Jon Teske leads the Wolverines in rebounds with 6.6 a game to go along with 9.3 points per contest. Zavier Simpson is the leading assist man on the Wolverines with 6 a game, and he adds 9.3 points and 5.1 rebounds each game. Michigan has been solid on both ends of the floor this season. They are averaging 70.3 points per game but are shooting just 44.8% from the field. The key for Michigan is the defense as they are holding opponents to just 58.4 points a game. Michigan is 16-1 at home this season. Michigan comes in at -12.5. Nebraska started off the season hot but have not been great during conference play. They are not playing for much as they are almost certainly out of the tournament at this point and have been horrific on the road. On top of that, they are without Copeland who was one of their best players. Michigan’s defense will show out in this one after a bad performance against Michigan St. Expect Michigan to come out firing in this one and secure a 15+ point victory. Take Michigan -12.5.